I started a new fitness program yesterday, in the form of a challenge. I’ve learned that this is how I have to do things because I don’t love to work out. It’s a chore to make myself do it, no matter how good I always feel afterwards. I have crazy motivation once I’ve committed to a program, so I know I can always stick to the schedule. It’s when I don’t have a schedule that things go haywire (ummm, the last 3 weeks of not doing much physical activity). The program I’m doing seems to be good for anyone because you do it to your own level.. Meaning it’s always challenging.. It’s 25 minutes long, 6 workouts per week. The idea is to double up on Fridays, but I’m not sure how that’ll go for me. I figured I could fit in 25 minutes no matter how busy life gets. Go go gadget willpower! In the card world, I’ve been holding out on you! This card.. well, I made it months and months ago, and thought I’d already shared it, but the blog says otherwise. Oops! Isn’t it stinkin’ cute? I love creating frames with those framelits dies! 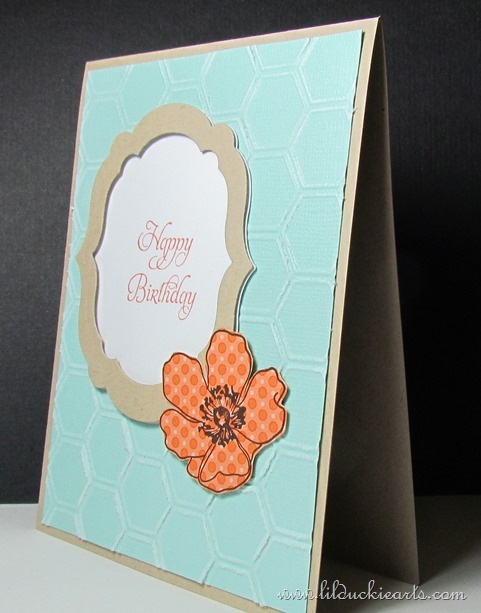 And of course, the Fabulous Florets again :) And and, coordinations cardstock, and that awesome honeycomb die. It’s Shauna heaven. Yeah, I could easily stare at it all day. It’s one of those cards that I have to only give to the extra special people in my life ;-) Either that or I’d better make 50 of them. 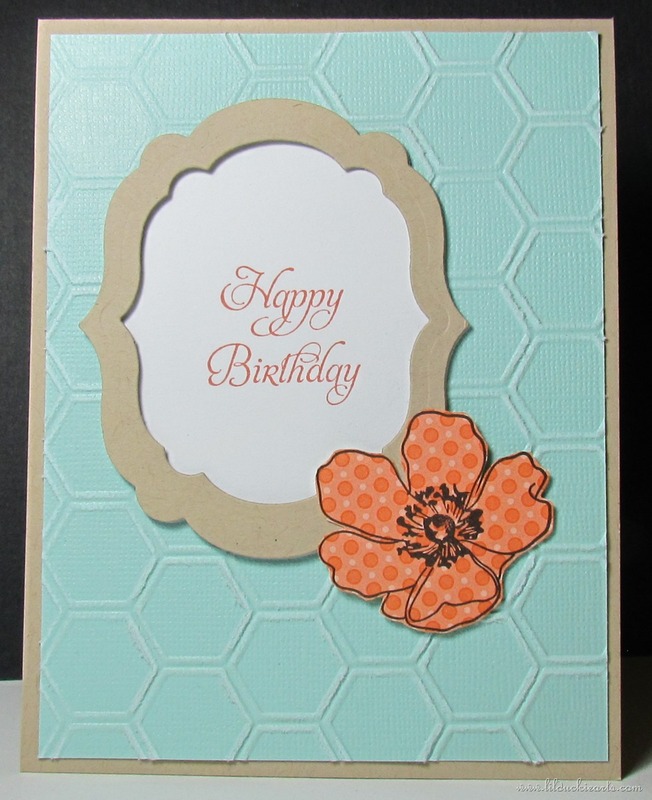 Pool Party, Crumb Cake, and Whisper White Cardstock. Calypso Coral DSP. Calypso Coral and Basic Black Inks. Big Shot and Honeycomb Embossing Folder, and Deco Labels Framelits Dies. This entry was posted in birthday, card and tagged birthday, card, fabulous florets. Bookmark the permalink.